This is a very interesting dilemma to talk about, and implies two different variables: Richard and his well-wishers. On one hand he stops to take pictures because he wants to; I guess that due to the fact that if he has needed almost twenty years to finally do what he wants (it’s very interesting in this sense the interview to The Telegraph) it is because of that people waiting outside to take a picture with him, many of them long-term fans. And, tired as he surely is after a so demanding show, he does it willingly. On the other hand, the well-wishers. I was just talking about this with a friend a couple of days ago, telling her that, should I had the opportunity to watch him in The Crucible I would not go to the back door to steal him five minutes of his deserved rest. But I am talking about what I think, I understand also perfectly well my friend’s motives to go to the stage door had she been there: If someone literally crosses the world and spends a thousand dollars just in the plane ticket to go to see him, it’s stupid not going to the stage door, given that he is already there greeting other fans. It is something quite complex the relationship between celebrities and their fans. We would like to have an equal relationship with the object of our admiration but it is something literally impossible to achieve due to a simple fact: he is one, we are thousands. It is human the need we feel (I include myself also) to want him to know us as individuals as we know him (but we do? ), to tell him personally how much we appreciate him. Some fans try to fill that gap assisting to red carpets, stage doors or meetings with fans in Comic Con. I (once again, personal opinion) have assumed that that gap is impossible to be filled, and, frustrating as it is, I have chosen to “keep the distance”. Love long comments! Especially one as thoughtful as yours. I think my main worry from RA’s end is that he has said in the past that he is a “pleaser” and has a hard time saying no. I think he is such a nice guy, that it isn’t in his nature to walk past a “well-wisher.” He knows so many have followed him on this journey… Yes. He does it willingly. But at what cost? Thank you so much. After seeing the picture you have retwitted I repeat what I wrote in my comment: “he is one, we are thousands”. I worry about this as well. 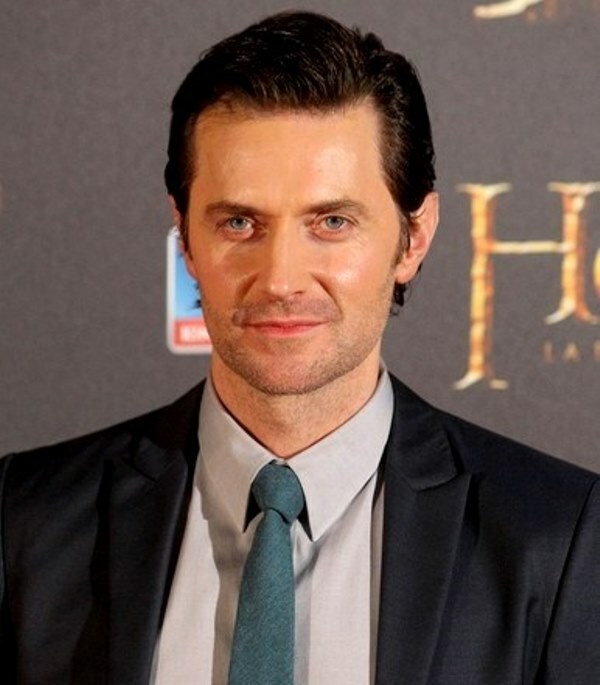 Richard gives so much of himself to his performances, and he has such a grueling schedule. I do want to tell him to take care of himself. But I would be inconsolable if I went to a performance and didn’t get the chance to meet him afterwards. A catch-22, isn’t it? Does anyone remember Richard talking about filming The Hobbit? He said he was so tired he literally fell down. We don’t see it but I think they have grueling days when filming. The days are much longer and if I remember correctly they worked six days a week. At least the actors with the bigger roles.